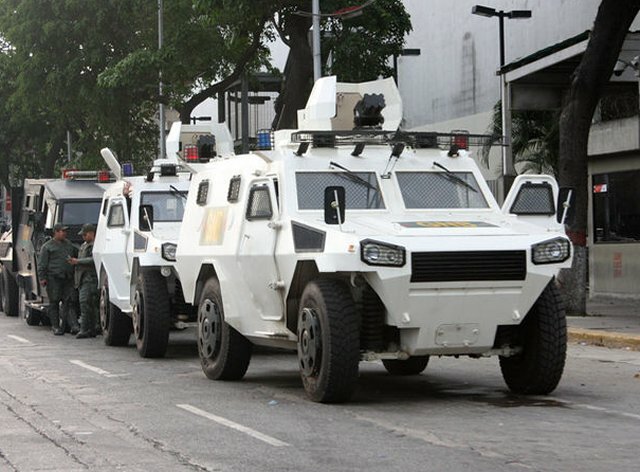 The president of Venezuela, Nicolas Maduro, said it had approved the purchase of 300 anti-riot vehicles for the National Guard. The announcement was made during the 77th anniversary ceremony of this component of the National Armed Forces. Maduro did not specify the type and the country where Venezuela will acquire the equipment. However, last June the Minister of Defense, chief-admiral Carmen Melendez Rivas, said that they were going to buy new anti-riot vehicles for the National Guard. Otherwise, it should be recalled that, in 2012, the Government of Venezuela bought at the state-owned China North Industries Corporation (Norinco) 141 new armored vehicles for public order : 121 4x4 armored vehicles VN4 (111 recognition and transport of personnel and ten mobile command posts); ten anti-riot vehicles (water cannon) WTC-1 and ten barriers carrier vehicles ABV 1.